Discussion in 'Gran Turismo Sport' started by GTPNewsWire, Oct 18, 2018. 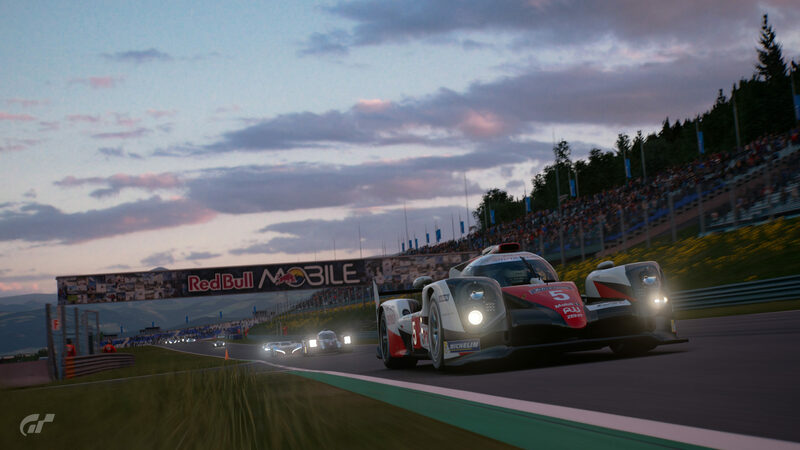 This article was published by Andrew Evans (@Famine) on October 18th, 2018 in the Gran Turismo Sport category. zawcranejr, kalakanto, JoueurGT and 5 others like this. I want GT Academy with online matchmaking as a medium. Would be sick compared to the simple online time trial. Calmlity and Animedeaf like this. Good questions. That veteran GT players come up with the track combination, is hit and miss. I'd figure they'd try not to repeat combinations. Kaz's words read that he really wants the newer GTR GT3 in the game, history tells us that'll probably happen. Actually though hopefully he pushes forward with updating the existing roster and we can get more modern entries, especially from Ford, Ferrari, and McLaren. Carffeine, GT6mebe, zawcranejr and 5 others like this. Was he talking in Japanese? If so, I want to listen to his direct voices. I'd assume that any new GT3's will be released after the World Championships at some point, rather than before. Would be cool to get the 2019 911 GT3R. bduddy, Marcobzzcs, k12power and 1 other person like this. Nice read. Looks like that gtr gt3 is coming then. Matter of when. Holing a few more RL gt3 and 4 cars come if easier to model. GTR GT3 MY18 surely will come since first time it appears, but they wait till end of season for that. Still no news (maybe never) about 911 GT3R and 488 GT3 eh. Both will be really good addition and will have good BoP if it come. Glad he acknowledged online problem on FIA races. Nice article its nice to know that new race cars are coming but honestly i think GR.3 is fine at the moment GR.4 & GR.1 need new cars asap. k12power and GT Sport like this. Pfei and Animedeaf like this. Are there any more manufacturers coming to the FIA Championship? KY: I don’t think that at the present time there’s going to be any additional manufacturers. I think the new GT3 cars that are being released by the manufacturers are something we’re looking at. Like the Nissan GT-R GT3; these cars already have a new model on the road. True. More likely NSX Evo, R8, GT-R.
ProjectF, KayX23, Marcobzzcs and 1 other person like this. We needed to made Gr.3 cars for each of those manufacturers for the FIA championship. To make those cars is quite a bit of effort. They’re actually very hard to make properly; to make an existing GT3 car is not as hard, but in order to make a fantasy GT3 car it takes a lot of effort in the design stages. KY: To think about those kinds of designs and work them out is really fun. But at the same time a car that would normally take six months to produce takes a year to produce. That really ramps up the amount of work that our teams have to do. so now I feel a bit bad for complaining about fantasy cars , so no more complaining from me . Turbo Racer 48, ProjectF, Marcobzzcs and 2 others like this. I've never complained about them in general, but I've always questioned why PD chose a fantasy car over an applicable real world car. Now I question that decision even more. Gr.3 isn't too bad, but the fantasy Corvette Gr.3 and the NSX Gr.3 stand out. A Corvette C7.R (GTE) or Calloway Corvette C7 GT3-R should have been used for the Corvette and an NSX GT3 should have been used for the NSX. Gr.4 is a disaster where only the Audi TT, the Porsche Cayman, and the Renault Megane Trophy are real cars. Aston Martin, BMW, Chevrolet (Camaro), Ford, and McLaren (570) all have real cars that compete in the GT4 class. ...and even then, the Megane Trophy doesn't even accurately fit into the class. Baliwa, Lukanyon and machine1121 like this. Thanks to this interview now I dislike even more the Gr.3/4/B fictitious cars. Second Best Kaz interview this year! ProjectF, GT6mebe, Marcobzzcs and 3 others like this. I know this interview had a topic but what he needs to talk about is the year anniversary and what to expect from upcoming content. I really apreciate the fantasy GT3 cars,now everytime i see them i keep thinking why VW doesn't make a GT3 Beetle or why Mazda doesn't make a GT3 Atenza,c'mon car manufacturers y'all are slacking. I think the fantasy race cars taking twice as long as real cars just goes to show that it's more than just "dude what if we made the beetle a gt3 car" and that there is actual thought put into things. Also, it's a lot easier to make a race car when someone else has done the hard part of engineering the car already. Brzlav, bduddy, GT6mebe and 4 others like this. ProjectF and sirjim73 like this. Brzlav, ProjectF, tankuroded and 1 other person like this. Kaz made a comment about the disconnects, and that already in the first year after release! Ok, he only said that its a tough challenge, but, hey, now we know for sure that he is aware of it! ProjectF, tankuroded, LotusEvoraGTE and 2 others like this. Ah at least it's something.Now VW needs to put that beetle on the track. Well i hope they can figure it out but they need to try it.Car variety in a grid makes races more exciting. Thanks for asking KAZ what´s up with the connection issues many top and non-top players had in official FIA seasons. Totally unfair what was going on. At least is good to know some words from him on this problems. I think GTPlanet is the unique way to make PD aware of what are the players disappointed or worried in the game. Always that you spend lots of time of your life on something you get to know the people behind it. Awesome and beautiful to know PD has taken onto consideration some of the best players from early stages of the saga, although I guess they will all be from Japan. In those years you couldnt get with your efforts in the game to a real car like in GT Academy, or couldnt go to esports events like in GT Sport, but at least you could get directly on touch with the game developers. They did race beetles, beetle cup, a one make race series and rally cross. I don’t mind vgt cars in general, but don’t like the golf vgt looks so out of place or lmp cars against the vgt varaints. "KY: There’s no real standard for it per se. We needed to made Gr.3 cars for each of those manufacturers for the FIA championship. To make those cars is quite a bit of effort. They’re actually very hard to make properly; to make an existing GT3 car is not as hard, but in order to make a fantasy GT3 car it takes a lot of effort in the design stages. GTP: Especially cars like the RCZ – front-engined, front-wheel drive becomes mid-engined, rear-wheel drive. KY: To think about those kinds of designs and work them out is really fun. But at the same time a car that would normally take six months to produce takes a year to produce. That really ramps up the amount of work that our teams have to do." Already had this assumption but at least Kaz confirmed it, This explains the bare bones car list at launch that was more focused on race cars, the focus on designing and creating those fictional Gr4/Gr3 cars to meet the FIA competition aspect of the game and the lack of previous road cars at launch which we've finally started to see in the free DLC. Moving forward I'd rather they just recreate more real GT3 cars instead of designing fictional ones to be honest. It takes way too much time to create those fictional GTs, I'd rather they put in more real cars that take half the development time. 05XR8, GT6mebe, Lukanyon and 1 other person like this.